Scarlets held out in a full-blooded Pro14 Welsh derby at Cardiff Blues to remain top of Conference B.
Gareth Anscombe’s opening penalty was followed by Tom Prydie’s memorable opening try. Blues went ahead through flanker Ellis Jenkins and Anscombe added another penalty. But Rhys Patchell’s try and Leigh Halfpenny’s conversions of both Scarlets tries ensured a second festive wins for Wayne Pivac’s side. With the 2018 Six Nations looming, there was much at stake for leading players and rising talents. 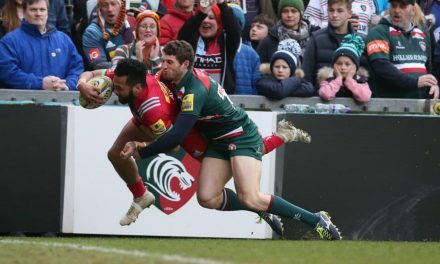 It was also a chance for Wales wing Alex Cuthbert to return from injury off the bench a day after fellow wing George North got back into action for Northampton after his prolonged absence. A calf injury had kept Cuthbert out since Wales’ November win over Georgia while North had been absent since September because of a knee problem. Scarlets made eight changes with head coach Wayne Pivac having stated he would not be happy for some of his players to appear on Blues’ artificial pitch. However, high-scoring wing Steff Evans was absent because of a four-week ban for his sending sent off for an aerial challenge on Ben John in Scarlets’ Boxing Day win over Ospreys. 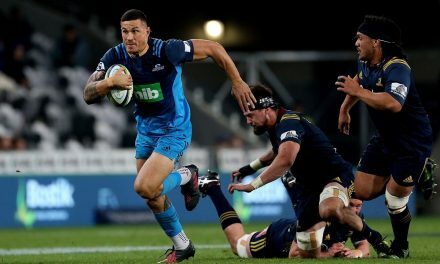 Blues’ 40-year-old Tongan tight-head Taufa’ao Filise led them out for his 250th appearance following his three-week ban. However, along with the rest of the home forwards, life was tough at the scrums under Scarlets’ potent power. But Blues’ line-out drives were equally as effective in underlining Scarlets’ frailties. Anscombe’s early penalty was soon overhauled as Scarlets scrum provided the platform for Wales scrum-half Gareth Davies to break clear before sending Prydie over. Blues struck back as returning flanker Jenkins touched down after a driving line-out splintered the home defence and Anscombe’s second penalty stretched their lead to four points at the break. However, after an Anscombe clearance was charged down, flanker James Davies took the visitors into Blues’ 22 where Patchell finished off as the home defence cracked under pressure. Leigh Halfpenny added his second conversion, but saw his next penalty shave the wrong side of an upright. Home scrum-half Tomos Williams was denied by Tadhg Beirne at the other end and Scarlets open-side Davies relieved the pressure as he stole possession at a ruck on their line. That proved crucial to the outcome as Blues’ late efforts never looked as threatening and the host left the fray without adding any second half points. Blues head coach Danny Wilson told Scrum V: “It’s a pretty tough one to swallow because I think we were the dominant team, if I’m honest, except on the scoreboard. 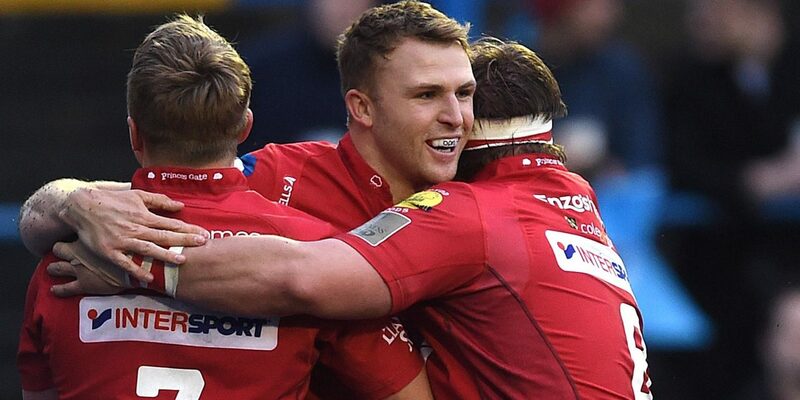 Scarlets boss Wayne Pivac told Scrum V: “It was one of those days, really. In the first half we didn’t look after the ball well enough and had something like 30% possession and something similar with the territory . “So it was just talking at half time about being composed with the ball and not throwing those 50-50 balls and stringing a few more rucks together and getting our game going. Cardiff Blues: Matthew Morgan; Owen Lane, Rey Lee-Lo, Willis Halaholo, Tom James; Gareth Anscombe, Tomos Williams; Rhys Gill, Matthew Rees (capt), Taufa’ao Filise, George Earle, Josh Turnbull, Josh Navidi, Olly Robinson, Nick Williams. Replacements: Kristian Dacey, Brad Thyer, Dillon Lewis, James Down, Ellis Jenkins, Lloyd Williams, Jarrod Evans, Alex Cuthbert. Scarlets: Leigh Halfpenny; Tom Prydie, Hadleigh Parkes, Scott Williams (capt), Paul Asquith; Rhys Patchell, Gareth Davies; Wyn Jones, Ryan Elias, Werner Kruger, Tadhg Beirne, Steve Cummins, Josh Macleod, James Davies, Will Boyde. Replacements: Ken Owens, Rob Evans, Simon Gardiner, David Bulbring, John Barclay, Aled Davies, Dan Jones, Ioan Nicholas. For the latest Welsh rugby union news follow @BBCScrumV on Twitter.